If you're getting married in Simcoe County, there are dozens, if not hundreds of wedding venues from which to choose. You can get married at hotels, golf courses, banquet rooms, in parks, on beaches, on rooftops, in restaurants...the list goes on, and on. Can it fit the number of guests we plan on inviting? Are there hotels nearby for us to stay at - and what about our friends and family? Is the space suitable for portraits, with plenty of diverse backgrounds that can accommodate our full family and bridal party, as well as just the two of us? Is it an easy place to travel to for guests who might be driving and need parking? If you're looking for a space to get married that checks every single box, consider Belcroft Estates. Situated on a very quiet rustic farm, but still only minutes from highway 400 (easy access for your guests), this venue has it all. Free parking, a variety of lovely outdoor ceremony spaces, and two very different areas for your reception. The first reception area is a rustic barn with beautiful balcony overlooking the dance floor and plenty of natural light. It is certainly a dream location for photography with the exposed beams, original panelled walls, and twinkle lights strung across the ceiling. For an extra touch of elegance your decorator can attach from the ceiling beams, draping it above the dining area and creating a partial canopy. 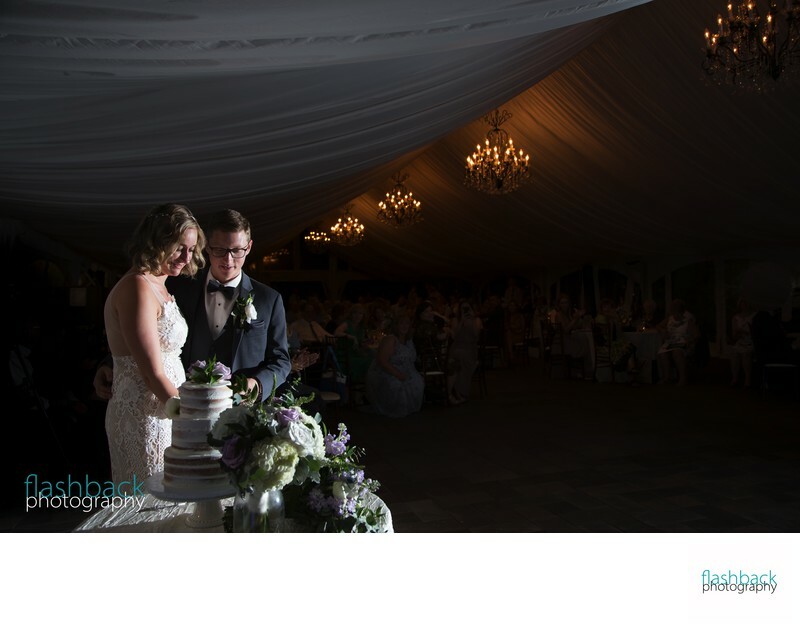 The second reception area is a large marquee tent situated behind the barn, out of sight-line and with its own driveway area and completely separate patio. What does this mean for your wedding? If you chose a popular date and are not the only couple tying the knot, your wedding will still be very private, without worry of the other guests accidentally wandering into your space. The tent is solid in construction with doors that open on all four sides for excellent ventilation and fresh air. Raise the roof with your DJ pumping out the tunes, and then step outside to stare up at the stars. Looking to get married at Belcroft Estates? Drop me a line -- I'd love to chat about your plans!